On the eve of the recent visit of Vladimir Putin to Belarus, at least three important points of vulnerability of Russia's and Putin's position in relations with Belarus were revealed. First, the importance of a Belarusian foothold for Russia increases in light of the deployment of the US anti-missile defence sites on the territory of the eastern member states of NATO. Second, for quite a long period of time, Ukraine will be the priority direction of Russia's foreign policy activities. Third, the Kremlin places primary responsibility for the failure of plans to speed up the creation of the Eurasian Union on the leaders of Kazakhstan; a certain cooling in relations between Russia and Kazakhstan is another reason for Moscow not to revive sensitive issues in its relations with Belarus. During his election campaign, Putin used to say that one of the major point of disagreement in relations with the West and the USA was the deployment of anti-missile defence sites throughout the territory of eastern member states of NATO. On May 3 and 4, the international conference "The anti-missile defence factor in the formation of a new security space", organised by the Ministry of Defence of Russia, was held in Moscow. High-ranking military men from Belarus attended the conference together with representatives of fifty states (including twenty-eight member states of NATO). Official representatives of Russia – former President Dmitry Medvedev, Secretary of the Security Council Nikolay Patrushev, Minister of Defense Anatoliy Serdyukov and Chief of General Staff Nikolay Makarov – voiced their view that the deployment of the anti-missile defence inevitably entailed retaliatory measures and created conditions for confrontation and a costly arms race. In particular, Patrushev said that already by 2020 the European line of the American anti-missile defence system would be able to intercept Russian missiles. According to General Makarov, the US military continues to rapidly improve the information processing capabilities and firepower of the system – they are increasing their range and the speed of interceptor missiles and improving their point accuracy. At the same time, the deployment sites are getting closer to Russia's borders. A few days before the conference, some high-ranking military men pointed out that their Belarusian foothold would play an important role among their retaliatory measures. The anti-aircraft missile system "S-400" , which is capable of intercepting the US interceptor missiles, could be deployed to Belarus. It was also pointed out that Belarus was the best place to deploy the short-range "Iskander" missiles, designed to hit the anti-missile sites located in Poland. Earlier, such declarations about the possibility of deployment of "Iskander" missiles over the Bug River were accompanied by claims of other high-ranking Russian military officials in mass media that Lukashenka was an inconsistent ally. This was why Russia would not transfer sophisticated offensive weapons, including the tactical "Iskander" missle system to Belarus. However, now in Moscow, they speak almost unanimously about the possibility of the deployment of the export-version of the tactical "Iskander-E" missile system in Belarus. In comparison with the systems "Iskander-M", with which Russian units are equipped, these systems have a two-times smaller range – about 200 km. 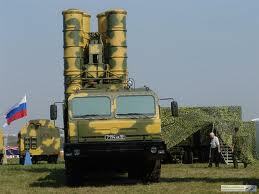 However, it would be sufficient to threaten the anti-missile defence sites deployed in Poland. Finally, a network of military airfields, which are capable to receive the Russian long-range bombers "Tu-22M3", is still exists in Belarus from the Soviet era. Their deployment in Belarus increases the efficiency of these bombers against the anti-missile defence sites, including against US Navy ships used for anti-missile defence. Lukashenka's team also has reasons to believe that the main foreign policy issue for Putin's administration in 2012 will be Russia's relations with Ukraine. Russia will endeavour to prevent or, at least, complicate to the maximum possible extent Ukraine's movement (while quite a lengthy one) into the EU. In April – May, Lukashenka's advisors had probably conveyed to him that ways of putting pressure on Ukraine were being discussed in Russia. In particular, the expert community discusses the figure of 20 billion dollars – this is the net worth which Ukraine estimates the value of its gas transportation system to be. Ways to force Ukraine into significantly reducing this price are currently under discussion. And it is only the first round of arm-twisting towards Ukraine, who has turned out to be defiant and unappeasable even under Yanukovich, much to the indignation of the Kremlin. May 25 marks the anniversary of signing of the treaty on friendship and cooperation between Russia and Kazakhstan. On the eve of Putin's inauguration, it was widely believed among Russian politicians and in expert community that Putin would make his first official visit to Kazakhstan. However, it was announced on the eve of Putin's inauguration, which took place on May 7, that Putin would make his first official visit to Belarus on May 31. Even if Putin visits Kazakhstan on May 25, this visit would be informal, i.e. held in lower regard. The bottom-line is that in order to create and sustain the threat of use of a Belarusian foothold, including against the anti-missile defence sites, Russia will not revive sensitive issues in its relations with Lukashenka's regime. Does Belarus Need A Shadow Government in Exile? Former Belarusian colonel Vladimir Borodach published his manifesto on 1 June in which he promised to overthrow the government in 3-5 years. The idea looks unrealistic both for his opponents and potential supporters, but received much publicity in the Belarusian press because it reflects the general fatigue of opposition "losers" and their unsuccessful actions. As an example, Lithuanian Foreign Minister Audronius Ažubalis said in his interview for Carnegie Europe on 15 May that he was tired of all the plans for supporting the opposition in Belarus. He suggested that it would be better instead to create a transitional council that might be backed by the U.S. But in fact direct support of Belarusian society at large is much more important and realistic than planning alternative government structures abroad. KGB Officers As Advocates of Democracy? Vladimir Borodach and his comrade Anufry Romanovich, a former KGB agent, claim that they have organised several meetings of retired officers in Poland, Lithuania, Russia and Ukraine over recent months. They aim at creating the Council of National Revival which would unite opposition forces to topple Belarusian president Alexander Lukashenka. They tend to use extremely radical rhetoric, saying that leaders of their organisation should be ready to sacrifice themselves and their families to win the battle against Lukashenka. From their point of view, only force is effective when dealing with the Belarusian regime. What is more important, they say that almost all Belarusian opposition leaders are controlled by secret services and thus the Council should be situated in exile. Despite radical moods in some opposition organisations, most main stream Belarusian politicians, activists and analysts rejected the idea. They say it is better to gain voters' sympathy rather than threaten authorities with revolution without the proper support of the Belarusian public. Prominent political observer Valer Karbalevich says with irony that the Borodach’s initiative is exotic for the world that has not ever seen opposition military junta in immigration. Former presidential candidate Alexander Kazulin highlights the need for opposition consolidation within the country, not outside it. And Alexey Pikulik from the Belarusian Institute of Strategic Studies (BISS) adds that survival of such immigration structures depends only on grant aid. As analyst Yuri Chavusau noted, an opposition in immigration lacks legitimacy because authorities concentrate their propaganda on the opposition's detachment from Belarusian society. Moreover, voters may feel distance and think that such opposition does not reflect their interests. Moreover, any transitory council outside the country would not be able to function effectively without international recognition. Borodach has already asked Washington, Brussels and Moscow for help. But Hans-Georg Vick from the organisation "Human rights in Belarus" (Berlin) thinks that such recognition is impossible, because it does not correspond to the interests of the main geopolitical actors in the region. And if it so, that’s for better: an attempt to create "a national unity government" on 19 December 2010 resulted in large-scale repression against civil society and political opposition. This crackdown could have been provoked by Russian intelligence services who manipulated several opposition figures to break off Belarusian contacts with Western countries, as former economic adviser to Russian president Andrei Illarionov suggests. History of Belarusian "Shadow Governments"
Actually, there is nothing unique in Borodach’s proposal. Transitory councils have been used in Syria and Libya to prepare the ground for foreign intervention. But this scenario is not only undesirable but unrealistic in Belarus which is supported by the Russian military. In the late 1990s Hienadz Karpienka led the National Executive Committee – a shadow government formed by ex-deputies of the 13th Belarusian Supreme Soviet (Parliament). But he unexpectedly died from cerebral haemorrhage on March 31, 1999. His colleague, former Interior Minister Yuri Zakharenko disappeared under suspicious circumstances a month later after his attempt to create the Union of Officers. Both politicians were very popular and their example shows how any serious attempts to create alternative institutions of power may end in Belarus. Belarusians already have the Council of the BNR – the oldest existing government in exile. The short-lived Belarusian People’s Republic (BNR) was declared on March 25, 1918 during World War I. Then its officials were forced to leave the country after it was taken over by the Soviets. The government serves as a symbol for Belarusian democrats, and many argue that there is no need to have another one. Finally, Belarusian opposition and civil society is largely represented in other countries. The Office for a Democratic Belarus functions in Brussels, the Solidarity with Belarus Information Office operates in Warsaw and the Belarusian Human Rights House had been set up in Vilnius. It is important to support the existing institutions instead of multiplying new organisations and thus widening the split between different opposition groups. What Does Belarus Really Need In Place of A New Grant-Seeking Office? The idea of uncompromising struggle against the regime gets some backing from radical activists. For example, Viacheslau Dzianau who is responsible for last year’s "silent protests" says that it is topical, because people are tired of indecisive politicians who are ready to coexist with Lukashenka for decades. However, those who want to bring democracy to Belarus should not give money to a marginalised fiery-tempered group which does not represent any significant group of Belarusian society. The only reason why his initiative received so much attention in the Belarusian press is the weariness of Belarusians with both the authorities and the opposition which were unable to change anything in their lives. This raises hopes that some external forces will magically transform or put an end to the Belarusian regime without the involvement of society itself. But only Belarusians themselves are responsible for what is going on in the country. Thus it is much better to focus assistance efforts on society at large: to abolish visa regime with Belarus, to offer more opportunities for Belarusian students and youth professionals and to establish broader ties with Belarusian officials and businessmen. And of course, it is essential to increase support for Belarusian civil society. Such long-term measures would not bring immediate results. The most promising means to help foster democratic transition is to help Belarusians view their country from a different perspective. As a result of more integration between Belarus and the rest of Europe by means of education and more openness, more and more will feel responsible for their country and capable of actually changing it, not just talking about it. And then they would be able to formulate alternative policies and form a truly influential government of national unity – from within the country, not from exile.